As the newest administration in Washington hammers out a strategy for the war in Afghanistan, a rift has opened among U.S. policymakers about how to proceed. On one side is the Pentagon, which has proposed sending up to 3,900 troops to the conflict-ridden country. If approved, the move would escalate the United States' involvement in the war, which began over 15 years ago. On the other side of the debate is the White House, where reports have emerged of calls to draw down the U.S. troop presence in Afghanistan. War fatigue, spurred by an unwillingness to wade deeper into a feud whose resolution eluded the administrations of presidents George W. Bush and Barack Obama, is clearly setting in. Acting U.S. Assistant Secretary of State for South Asia and Central Asia Alice Wells will lead a delegation to the capitals of Afghanistan, Pakistan and India on Aug. 2 to discuss U.S. President Donald Trump's South Asia strategy. It will be the second American delegation to visit these areas in the past month, after U.S. Sen. John McCain led a congressional delegation to Islamabad and Kabul in early July. Despite expectations that its Afghanistan strategy would be revealed in mid-July, it appears that the Trump administration is still mulling its options. A troop increase would help the Afghan National Defense and Security Forces, which currently number 352,000 troops, break their ongoing stalemate with the resilient Taliban. If deployed, the U.S. forces would support Washington's two ongoing missions in Afghanistan: Operation Resolute Support, which is led by the North Atlantic Treaty Organization (NATO) and focuses on training, advising and assisting the Afghan military, and Operation Freedom's Sentinel, a counterterrorism mission targeting al Qaeda and the Islamic State's Khorasan chapter. By contrast, a troop decrease would satisfy U.S. lawmakers eager to pull out of the conflict. But with the Afghan army already straining to keep the Taliban in check on its own, withdrawing U.S. troops without compensating for their removal in some way would tip the scales in the Taliban's favor. Playing geopolitics in South and Central Asia can have disastrous consequences for U.S. national security. Tensions have been building on the Himalayan frontier that separates China and India, even as a new round of political instability roils Pakistan. A recent skirmish in Kashmir, moreover, raises the stark possibility of a South Asian conflagration that involves not just two nuclear powers, but actually three (or even four). Some strategists in Washington are gleeful that Beijing confronts yet another brushfire on its flank—the more so to dissipate the energies of the resurgent Middle Kingdom. Indeed, it has long been fashionable in Washington to advocate for stirring up trouble on China’s unruly western borders in order to contain any ambitions that China might have on its eastern or maritime flank. However, such viewpoints are appallingly short sighted. We have learned before, perhaps more than once, that playing geopolitics in South and Central Asia can have disastrous consequences for U.S. national security. Advocates for the ever deepening U.S.-Indian strategic partnership have long been in ascendance in the Pentagon. The recent Malabar exercise has become a potent symbol of New Delhi’s prominent role alongside Tokyo and Washington as the “Three Musketeers” that will keep the fire-breathing Chinese dragon in check. Not surprisingly, Chinese commentators interpretedthe Malabar exercise, yet again, as aimed squarely at Beijing. Meanwhile, the new trend in Washington is increasingly to blame Pakistan for all woes in Afghanistan. Increasingly, it looks as if South Asia will be subsumed into the larger superpower struggle—a rather familiar and dreadful scenario from the Cold War. Such an outcome is hardly good for South Asians. Nor does it accord with U.S. national interest either. U.S. President Donald Trump recently concluded his first summit with Indian Prime Minister Narendra Modi. Although this meeting came after Trump had met with some 38 other world leaders, it was among the president’s most important. The fulcrum of international security concerns has shifted to Asia, as both the Trump and Obama administrations have acknowledged. The United States needs to have the strongest possible partnership with India. India and the United States share fundamental strategic goals in preventing the rise of an Asian hegemon and fighting terrorism, wherever it originates. Outside of China, there is no power in Asia stronger than India. India has nuclear weapons, the means to deliver them, the world’s third largest standing army, the second largest fleet of aircraft carriers, and an economy that has overtaken Japan to become the world’s third largest on a purchasing parity basis. India’s population will soon be larger than China’s. Economically, India is growing faster than China and far faster than the United States. In their first-ever face-to-face meeting, Trump and Modi achieved the primary goal of their summit – namely, to assure each other and their respective countries that the U.S.-India relationship is still important to both sides and is on track to strengthen. More narrowly, the meeting reassured India that really nothing had changed in the basics of bipartisan support for the partnership created under the Clinton, Bush, and Obama administrations. 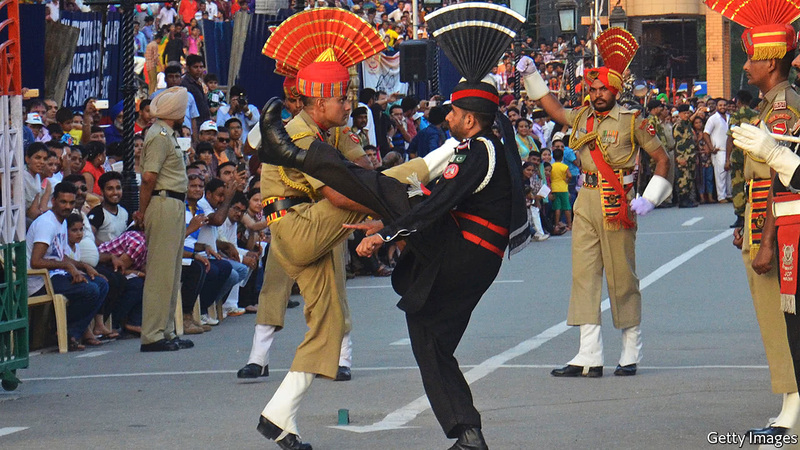 As India and Pakistan celebrate their twin 70th birthdays this August, the frontier post of Wagah reflects the profound dysfunction in their relations. On its side Pakistan has built a multi-tiered amphitheatre for the boisterous crowds that come to watch the show. The Indians, no less rowdy, have gone one better with a half-stadium for 15,000. But the number of travellers who actually cross the border here rarely exceeds a few hundred a week. India’s growing counterterror cooperation with the Philippines has mostly positive implications for both countries. The Philippines has been grappling with Islamic State (ISIS)-affiliated militants who launched an offensive to control Marawi City on May 23, 2017. Despite a fierce counteroffensive spanning almost two months, which resulted in the death of about 500 militants, army officials, and civilians collectively, the Philippine army has still not completely retaken the city, located on the southern island of Mindanao. Amidst this uproar, the Philippine government has been seeking military and arms support from various countries, including the United States and China. Beyond these large players, the Philippines has been taking assistance from other regional partners as well, including Malaysia and Indonesia. India has played a new but important role in these operations as well. India had initially provided $500,000 to the Philippines to aid it in rehabilitating the inhabitants of Marawi, who were ravaged by the massive offensive. This is notable for two reasons. First, it is the first time India has ever supported another country financially against armed insurgents. Second, this the largest monetary contribution that the Philippines has received in the ongoing crisis. Beyond its donation, India has facilitatedcybersecurity information exchange and training for Philippine officials involved in deradicalizing citizens. A "security dilemma" in international relations represents a situation in which accretion of power -- military and economic -- by a state generates fear amongst its rivals, leading to tensions, a possible arms race and the possibility of conflict. India's acquisition of power is based on its nuclear arsenal, a modern but under-equipped military with 1.5 million personnel under arms and a defence expenditure of $60 billion. And yet, far from striking fear, India often fails to evoke respect in its Asian neighbourhood. The Economist weekly, in a 2013 article titled "Can India Become a Great Power", seemed to put its finger on the reason: "India has the world's 4th largest military," it said, "and yet its political class shows little sign of knowing or caring how the country's military clout should be deployed." Warning India against "an unstable but dangerous Pakistan and a swaggering and intimidating China", it observed: "The absence of a strategic culture and the distrust between civilian-run ministries and the armed forces has undermined military effectiveness." Has India's contribution to WW2 been ignored? The numbers are staggering: up to three million Bengalis were killed by famine, more than half a million South Asian refugees fled Myanmar (formerly Burma), 2.3 million soldiers manned the Indian army and 89,000 of them died in military service. South Asia was transformed dramatically during the war years as India became a vast garrison and supply-ground for the war against the Japanese in South-East Asia. Yet, this part of the British Empire's history is only just emerging. By looking beyond the statistics to the stories of individual lives the Indian role in the war becomes truly meaningful. 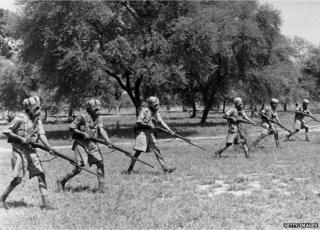 Has the massive South Asian contribution to the World War Two been overlooked? In some ways, it hasn't. Pakistan’s creation — a mistake? LONDON – It was never my plan to tell Pakistanis their country had been a mistake. I was 19 years old at the time, in Pakistan for the summer with 40 other young Canadian university students on a trip to foster international understanding. I had already realized that this was a completely pointless exercise, but it was a free trip and I had never been out of North America before. In the standoff between India and China at Doklam, little has been said about north Sikkim. India is extremely vulnerable there because of geography and defunct infrastructure, especially roads. China has excellent roads and airlift capability and our Army is at a disadvantage. THE crucial meeting between the National Security Adviser Ajit Doval and the Chinese leadership has not resolved the Doklam crisis. The two sides discussed "bilateral and major problems", suggesting that diplomatic channels are functioning. While neither side wants war, it is certain that China will not accept a reciprocal withdrawal of forces. Will this lead to a long haul of armies' face-off? Probably not. Unlike any of his predecessors, Xi Jinping dons four hats — President, Communist Party General Secretary, Chairman of the Central Military Commission and the Commander-in-Chief Joint Operations Command. He has positioned military power as the anchor of his aggressive China dream and will not wait for long before adopting detrimental measures towards India. For many Pakistani businessmen, the China-Pakistan Friendship Highway is just a one-way street. "There is no benefit for Pakistan. 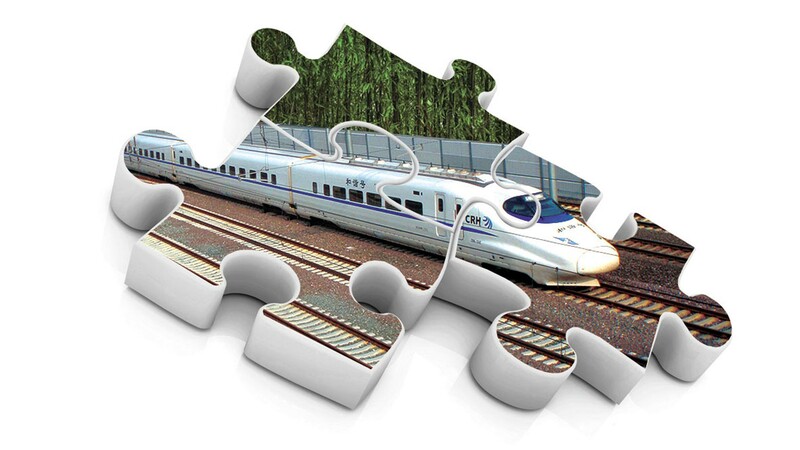 It's all about expanding China's growth," said a businessman. While both countries say the project is mutually beneficial, data shows a different story. A truck driving along the China-Pakistan Friendship Highway. TASHKURGAN: The China-Pakistan Friendship Highway+ runs over 1,300 kilometres (800 miles) from the far western Chinese city of Kashgar through the world's highest mountain pass and across the border. For China, the two-lane thoroughfare symbolises a blossoming partnership, nourished with tens of billions of dollars of infrastructure investment. But for many Pakistani businessmen living and working on the Chinese side of the border, the road is a one way street. The United States has spent $714 billion on a war it’s losing. Given that the national public debt has soared thanks to expenditures on the Forever Wars in Iraq and Afghanistan, a hefty bill should surprise no one — but the examples of waste, misappropriation, corruption, and outright incompetence should infuriate every taxpayer. Let’s take a look at where your hard-earned money goes, shall we? According to one of two performance audits conducted by SIGAR, the Pentagon spent $457.7 million on programs designed to help the Afghan National Forces build their intelligence-gathering capabilities, but the DoD can’t actually measure its return on investment “because of a lack of performance metrics.” Existing records maintained by the Afghan military showed that “intelligence trainers and instructors failed to meet the minimally established training requirements;” it’s hard to imagine the intel forces’ experience deviates significantly from this trend. Russian President Vladimir Putin’s July 30th decision to expel 755 U.S. diplomats is the logical result of another senseless sanctions bill. Yes, Putin's regime is authoritarian by Western standards. And yes, Moscow most likely interfered in the 2016 U.S. Presidential elections. But will sanctions "punish" Putin, or will they only edge our two countries closer to catastrophic war? A better approach to countering Russian aggression lies in supporting Chinese ambitions in Eurasia, the continent encompassing Europe and Asia. At first, this may sound counterintuitive, but the case for this approach can be found in Graham Allison's recently published "Destined for War." Although he argues that China’s rapid rise makes war with America more likely, Allison's data suggests that something else may be around the corner: a Sino-Russian conflict. Allison and his team studied the past five hundred years and noticed 16 cases where a rising power threatened a ruling power. 12 of the cases resulted in war. A close inspection reveals that in nine of the wars the ruling and rising powers shared the same landmass. Additionally, in three of the four cases where war has been averted, a body of water separated the ruling and rising powers. And in one case of war, the rising power (France in the late 18th to early 19th centuries) fought its territorial neighbors (Russia, Prussia, Austria, Spain) rather than the ruling power (the United Kingdom), separated by a relatively narrow body of water. Allison’s data, therefore, suggests that the rise of China is bound to create more pressures on its relationship with Russia, sharing a common border, than the United States, a Pacific Ocean away. North Korea is driving American foreign policy in directions not seen before--and Beijing should be worried. China’s massive display of ­military might on Sunday sent a clear message to the army, the country and the world that the PLA under its commander, President Xi ­Jinping, is quickly modernising and improving its readiness for war. The event in Zhurihe in Inner Mongolia, to mark the 90th anniversary of the founding of the People’s Liberation Army, had none of the ceremony usually associated with a military parade in China. 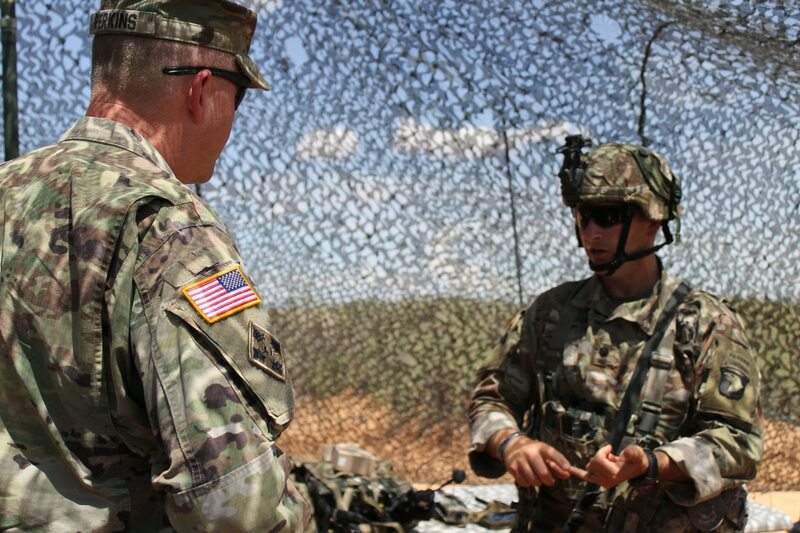 It was done with the troops in battle dress to remind them that the world’s largest army must embrace changes and be ready for battle, analysts said. Xi, in a camouflage uniform, told the troops to “be ready to ­assemble at the first call and be ­capable of fighting and winning any battle”. The parade showcased what Xi has done to improve China’s military since he took power five years ago, and it underlined his vision of the army’s role in the country’s future as China aggressively tries to boost its regional and even global clout. “I firmly believe that ... our heroic army has the confidence and capabilities to maintain the nation’s sovereignty, security and development interests,” Xi said. Since joining the WTO in 2001, around every four years China has presented the world with a new concept, strategy, or programme. These concepts are deeply rooted in the Chinese political system, but encapsulated in simple and memorable slogans. They have caused a great deal of both excitement and confusion abroad and within China. Past examples include ‘Peaceful Rise’, a ‘Harmonious World’, and ‘New Great Power Relations’. The latest fashion is the ‘Belt and Road Initiative’, commonly known as One Belt, One Road in public. No other policy in the world has launched as many global debates, with both serious doubts and some enthusiasm seen from academics, policymakers, and entrepreneurs. In May 2017, Beijing hosted the first ever ‘Belt and Road Forum’ in its usual lavish and choreographed style, attended by 29 head of states and delegates from 130 countries, to consolidate what China has achieved so far and to further promote the initiative (Xinhua, 2017). There are troubling signs that the Trump administration is itching for a fight with Iran. While the White House recently certified that Tehran was complying with the nuclear deal, fresh sanctions and thinly veiled references to regime change should raise serious concern that the administration will be searching for any excuse to avoid recertifying Iran’s compliance come the next review in October. In fact, President Donald Trump tasked a team in the White House with coming up with reasons to withhold certification at the next opportunity. And in a July 25 interview with the Wall Street Journal Trump prejudged the October outcome, saying he fully expected Iran to be declared noncompliant. Breaking the nuclear deal, presumably to keep a campaign promise, could put Washington on a slippery slope towards a military confrontation with Iran. Sabotage of the accord that Iran negotiated, not only with the United States, but also with Russia, China, the United Kingdom, France and Germany, would be received in Tehran as a message that Washington is preparing for military action, and that it must therefore prepare for the worst. This path towards confrontation would wreak havoc on an already unstable Middle East, undermine U.S. national security interests, and potentially put American lives at risk. There are legitimate reasons for Washington to be alarmed about Iran’s behavior. Tehran has projected its influence deep into the Arab heartland using its al-Quds expeditionary force and through its patronage of militias like Hezbollah, the Iraqi popular mobilization units, the Houthis in Yemen and over 100,000 militiamen in Syria. Its game of tug-of-war with the United States in Iraq is intended to pull Baghdad more fully into Tehran’s political orbit and away from Washington. And provocatively it flexes it's muscle by conducting missile tests and arresting U.S. visitors to Iran. Driving most ISIS forces out of Mosul is an important victory at the tactical level. The fight in Mosul is still a work in progress, but Iraq is close enough to driving ISIS fully out of the city to show Iraqi forces have steadily improved over time, and the combination of Iraqi forces, U.S. airpower, and a carefully tailored U.S. train and assist mission has had important successes. It is scarcely surprising, therefore, that there is a rush to declare the "lessons" the U.S. should learn from the initial phases of this Iraqi victory in Mosul, and to treat that battle as the culmination of a new and more successful approach to fighting extremism and asymmetric wars. If there is any lesson of war that the United States should learn from the more than a decade and a half of previous fighting, however, it is not to declare "mission accomplished" on the basis of even the greatest tactical victory. The United States has fought a long and frustrating series of wars and battles since U.S. special forces first entered Afghanistan in October 2001. Again and again, seemingly lasting victories have not turned into strategic successes, and have been followed by new rounds of fighting and strategic frustration. And, only lasting strategic results really count. As North Korea’s nuclear and ballistic missile programs ruffle the feathers in the United States and regional players in East Asia, there is another, less visible, confrontation occurring in the depths of computer systems around the world. In the last decade, despite a notable deficiency in global internet access, North Korea has leaped into the spotlight on the geopolitical and criminal cyber stage. Resorting to cyberspace allows Pyongyang, and its leader Kim Jong-un, global reach to coerce adversaries – particularly South Korea and the United States – without the escalatory consequences of conventional military efforts. “North Korea likely views cyber as a cost-effective, asymmetric, deniable tool that it can employ with little risk of reprisal attacks, in part because its networks are largely separate from the internet, and disruption of internet access would have minimal impact on its economy,” says a U.S. Department of Defense report submitted to Congress in 2015. Missile Strikes on U.S. Bases in Asia: Is This China's Real Threat to America? While U.S. defense strategists have been focused on China’s so-called “carrier-killer” ballistic missile, as well as Beijing’s aircraft carriers, a new report suggests China’s greatest threat to the United States may be something less eye-catching. “The greatest military threat to U.S. vital interests in Asia may be one that has received somewhat less attention: the growing capability of China’s missile forces to threaten U.S. bases in the region,” write Thomas Shugart and Javier Gonzalezin a report released last month by the Center for a New American Security (CNAS). Gonzalez and Shugart are both commanders in the Navy, and the latter currently serves as a military fellow at CNAS. In the report, they argue that China could use its missile forces to conduct a surprise preemptive strike against U.S. military bases in the region to prevent U.S. intervention in a conflict over Taiwan or the Senkaku Islands. “Driven partly by distinct first-mover advantages associated with the employment of modern long range precision weaponry, such a preemptive strike appears consistent with available information about China’s missile force doctrine and military strategy,” they write. Chinese leaders began building up these capabilities after being shocked by America’s overwhelming victory over Saddam Hussein’s forces in the First Gulf War. This led Beijing to transform its Second Artillery Corps from a primarily nuclear force into one consisting of nuclear and precision conventional missiles (both ballistic and cruise). This strategy sought to capitalize on China’s asymmetric advantages such as geography and the low cost of producing missiles. The message conveyed by the military uniform donned Chairman of the Central Military Commission (CMC) and the Commander-in-Chief, Joint Operations Command, Xi Jinping, while inspecting the People’s Liberation Army’s (PLA) 90th foundation day parade on July 31 was unmistakable: The PLA, denoting military power, will be in the vanguard of China’s foreign policy. Military power is one area which the Indians seem to have not fully comprehended, especially the way it is determining China’s foreign policy choices. There is no other reason to explain the casual manner in which sensitive statements are being made by those responsible to deliver in case of an escalation of the Doklam Army face-off. Take Minister of Defence, Arun Jaitley for instance, speaking in the Lok Sabha on July 28, he said: “The Armed Forces are fully equipped to face any contingency and any shortfall of ammunition would be expeditiously made up.” The task of a Defence Minister is not to help procure ammunition for the Armed Forces from within the country and abroad. This is the job of the bureaucrats, both civilian and military, who do not seem to be paying attention to this issue. This is exactly what the recent Comptroller and Auditor-General’s 2017 report has lamented about when referring to the grave shortfall of ammunition. In May 1944, Chinese Nationalist and U.S. Army troops converged on the city of Myitkyina, one of the last remaining obstacles to the opening of the Burma Road. Intelligence indicated that the Japanese garrison defending Myitkyina numbered no more than 1,000 soldiers, but the actual number was three times that amount. The American-Kachin Rangers, consisting of U.S. special operators from the Office of Strategic Services and indigenous Kachin tribesmen, prowled ahead of the conventional units to collect information and wreak havoc behind Japanese lines. Ranger reports on Japanese troop movements enabled Chinese and U.S. infantry to trounce the Japanese on the ground, and Allied bombers to plaster them from the air. A U.S. infantry officer observed that “without the assistance and support of the Kachins, we would have been licked before we even got started.” Myitkyina fell in August, and a few months later supplies were flowing up the Burma Road to China. As one of the first U.S. special operations outfits, the American-Kachin Rangers exhibited many of the traits that would account for the successes and popularity of special operations forces in decades to come. By forging ties with the local population, a few Americans enlisted the help of local warriors who knew the physical and cultural terrain better than the enemy. The low American profile kept the Rangers from attracting the attention a U.S. infantry unit would attract. Emphasis on stealth and speed enabled the Rangers to sneak up on the enemy to slit throats and demolish bridges. This is part five of a series exploring the differences between military cyber forces, capabilities, mission sets and needs. For previous installments, see part one, part two, part three and part four. In addition to being the direct service link for U.S. Cyber Command, 10th Fleet, or Fleet Cyber Command, has a mission set in cyberspace for the Navy that is much more expansive than just the man, train and equip cyber mission force CYBERCOM contribution. “We’ve always been the central point of managing the day-to-day events that happened on the networks, whether that’s an adversary coming at you, whether that’s some other failure of the networks by design or some other capability,” Capt. James Mills, chief of staff at Fleet Cyber, told C4ISRNET on the sidelines of the Defensive Cyber Operations symposium in June 2017. 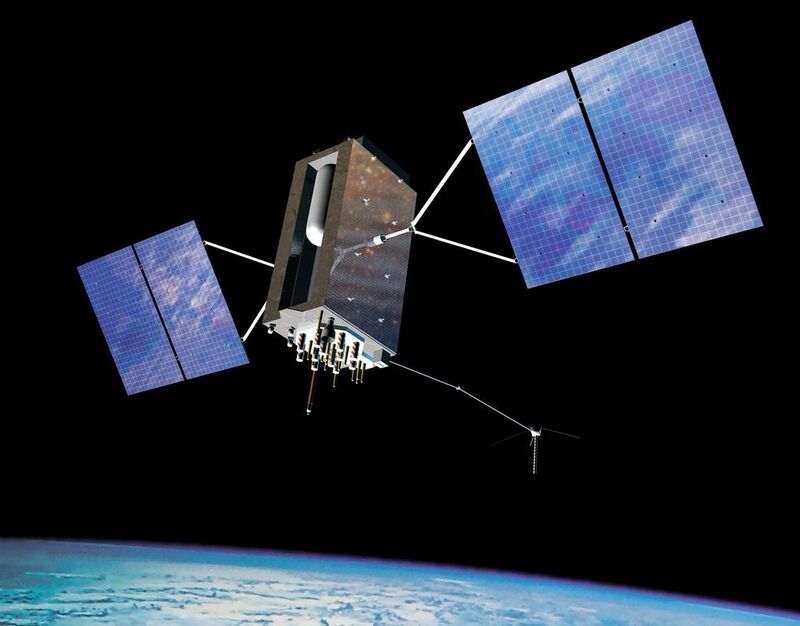 Raytheon’s “Operational Control Network” of 20 ground stations and antennas worldwide is needed to take full advantage of new GPS III satellites being built by Lockheed Martin Corp, above. Add at least nine more months of delays before the U.S. Air Force can deploy a fully capable version of Raytheon Co.’s ground system for advanced GPS satellites, a project that was already running about five years late. The ground system, which was supposed to be in operation by October 2016 under Raytheon’s contract, now isn’t projected to be ready until at least April 2022, the Air Force said in response to an inquiry by Bloomberg News. Extending the schedule will increase the projected cost of the system’s development phase to $6 billion, up from $5.4 billion most recently and $4 billion in 2015. Raytheon’s “Operational Control Network” of 20 ground stations and antennas worldwide is needed to take full advantage of new GPS III satellites being built by Lockheed Martin Corp. that promise greater worldwide coverage, accuracy and cybersecurity. The Global Positioning System is widely used for everything from helping the military to pinpoint airstrikes against Islamic State to allowing civilians to map street-by-street driving directions on their smartphones. The new satellites also have been beset by repeated delays, with the first launch now planned the second quarter of 2018. Reports this month that the United Arab Emirates orchestrated the hacking of a Qatari news agency, helping to incite a crisis in the Middle East, are as unsurprising as they are unwelcome. For years, countries — in particular Russia — have used cyberattacks and the dissemination of disinformation through social media and news outlets to provoke protests, sway elections and undermine trust in institutions. It was only a matter of time before smaller states tried their hand at these tactics. With few accepted rules of behavior in cyberspace, countries as big as China or as small as Bahrain can be expected to use these kinds of attacks. And they may eventually spill over into real-world military conflicts. The hacking attacks in the Gulf seem to follow a typical pattern of going after the media and the email accounts of prominent individuals. According to American intelligence officials, in late May, hackers supported by the United Arab Emirates infiltrated Qatari government news and social media sites. The attackers planted quotations falsely attributed to Sheikh Tamim bin Hamad al-Thani, Qatar’s leader, praising Iran, Hamas and Israel. It’s unclear if the Emirates undertook the hacking or hired freelancers to do the dirty work. (Emirati officials have denied playing any role.) But either way, the objective was achieved. The Emirati government, along with Saudi Arabia, Bahrain and Egypt, used the planted quotations as a pretext to ban Qatari news outlets and to break off diplomatic and trade relations with Qatar. The countries presented Qatar with a list of 13 demands for resolving the crisis, including cutting ties with Iran, closing a Turkish military base in Qatar and closing the Qatari-financed network Al Jazeera. Qatari officials called the demands an infringement on their country’s sovereignty. Tensions continue as American and Turkish officials try to mediate a resolution. Critical infrastructure operators have long faced the formidable security challenges of zero-day vulnerabilities and advanced persistent threats (APTs), both of which were employed in some of the most prominent cyberattacks in the sectors to date. But one researcher is warning leaders in government and industry of an old threat that, fueled by recent legislation and commercial practices, is quickly surpassing zero days and APTs as perhaps the greatest risk to critical infrastructure security. The threat is what might be called “weaponized metadata,” and the risks are detailed extensively in a new report, Metadata: The Most Potent Weapon in this Cyberwar, recently published by the Institute for Critical Infrastructure Technology (ICIT), a Washington, D.C.-based cybersecurity think tank. ICIT produces many publications annually, but the 28-page report on metadata is notable for its urgent tone and sharp criticism of governments and businesses globally. James Scott, ICIT senior fellow and the report’s author, in a recent interview with Fifth Domain, discussed the causes, potential effects and possible consequences of the metadata threat to critical infrastructure security. The risk is increasing, Scott said, because of growth in the collection, aggregation and sale of end users’ internet metadata, as well as users’ preference profiles and browser histories. This is part four of a series exploring the differences between military cyber forces, capabilities, mission sets and needs. For previous installments, see part one, part two and part three. In addition to being the direct service link for U.S. Cyber Command, 24th Air Force, or AFCYBER, holds a mission set in cyberspace that is much more expansive than just the man, train and equip cyber mission force Cyber Command contribution. Maj. Gen. Chris Weggeman, commander of AFCYBER, noted in written congressional testimony recently that AFCYBER is designated as the cybersecurity service provider for the Air Force in addition to executing assigned cyberspace operations missions through six avenues; building, operating, securing and defending the Air Force networks. Additionally, organic capabilities specific to the Air Force revolve around their five core mission sets: assurance of aerial refueling, assigning crews to planes and ensuring planes take off on time and complete their mission. In this vein, the Air Force has created a director of cyber forces, or DIRCYBERFOR, with 39 billets across all air operations centers with the intention of integrating cyber into the theater of the service’s multi-domain operations, officials from AFCYBER told C4ISRNET.